← Half bag of chips, were you scammed? Security freezes, also known as credit freezes, restrict access to your credit file, making it harder for identity thieves to open new accounts in your name. Starting September 21, 2018, you can freeze and unfreeze your credit file for free. If you request a freeze online or by phone, the agency must place the freeze within one business day. If you request a lift of the freeze, the agency must lift it within one hour. If you make your request by mail, the agency must lift the freeze or place within three business days after it gets your request. Don’t confuse freezes with locks. They work in a similar way, but locks may have monthly fees. If you want a free freeze guaranteed by federal law, then opt for a freeze, not a lock. A fraud alert tells businesses that check your credit that they should check with you before opening a new account. Starting September 21, 2018, when you place a fraud alert, it will last one year, instead of 90 days. Fraud alerts will still be free and identity theft victims can still get an extended fraud alert for seven years. If you’re in the military, you’ll still have access to active duty alerts, which let you place a fraud alert for one year, renewable for the time you’re deployed. The active duty alert also gives you an added benefit: the credit reporting agencies will take your name off their marketing lists for prescreened credit card offers for two years (unless you ask them to add you back on). You can place a fraud active or alert duty alert by visiting any one of the three nationwide credit reporting agencies– Equifax, Experian or TransUnion. The one that you contact must notify the other two. 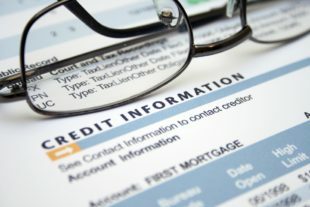 You also can find links to their websites at IdentityTheft.gov/ CreditBureauContacts. You can submit a complaint online or by calling 855-411-2372 if you think a credit reporting agency is not placing a credit freeze or fraud alert properly. If you think someone stole your identity, visit the FTC’s website, IdentityTheft.gov, to get a personalized recovery plan that walks you through the steps to take. This entry was posted in Identity Theft, Public Service, Scams Alert. Bookmark the permalink.